Setup Welcome dialog Installation packages / Click on "Next" Select/enter installtion path / Click on "Finish" Installation summary / Click on "Packages to be installed"
All other components in this dialog can be excluded from the installation. 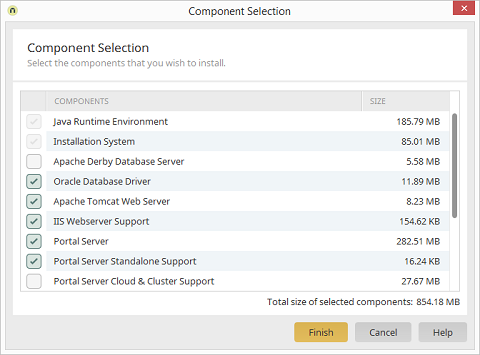 When you select or deselect individual components, the current storage space requirements at the bottom right will be updated. Applies the selected components and closes the dialog. You will be returned to the installation summary dialog.